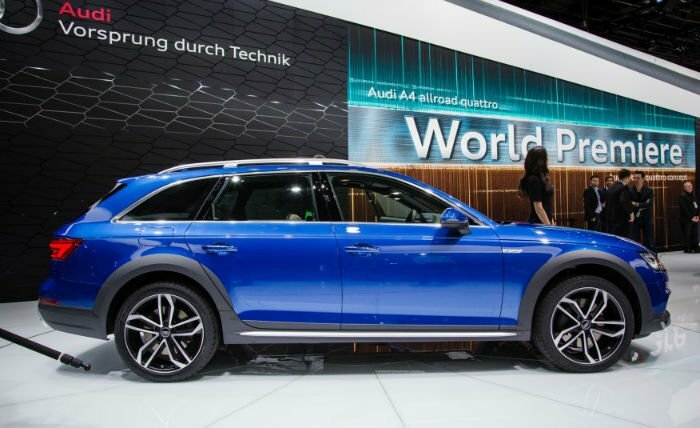 2017 Audi Allroad wagon made its worldwide debut at the North American International Auto Show in Detroit. Based on the 2017 Audi Allroad Avant wagon, the 2017 Audi Allroad Quattro variant adds high-rise suspension with 1.3 inches of additional ground clearance. An “off-road” mode match engine and transmission control, steering and optional custom suspension when driving on light terrain. 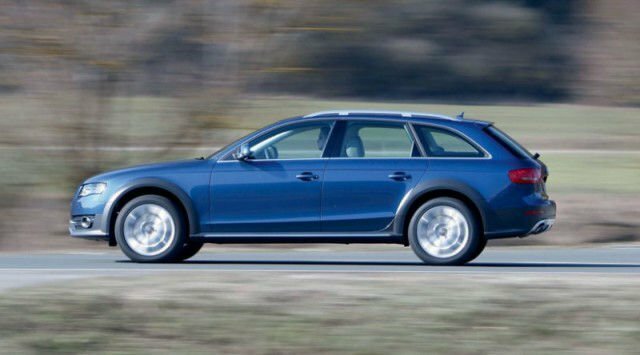 As Audi’s Allroad other packages, the 2017 A4 variant features flared wheel arches in unpainted plastic. Bottom skid plates, roof rails, and unique lower bumpers further enhance the rugged appearance. Larger wheels on the front and back attached via Five-link suspension, the integration of lightweight materials in excess of 26 pounds line from the ash components. The A4 Allroad 2017 model is positioned as an alternative to dedicated crossovers, providing 17.8 cubic feet of storage space in the luggage compartment. With the rear seats folded flat storage capacity up to 53.3 cubic feet. Audi will have a wide variety of offers TFSI and TDI engines, with output specs of 150 horsepower to 272 horsepower, an increase of 27 ponies over the previous model. The newly developed 2.0-liter TFSI mill produces 252 horsepower and 272.9 lb-ft of torque, the car to 62 mph from a stop in just 6.1 seconds. Power delivered by a six-speed manual, seven-speed S-Tronic or eight-speed Tiptronic gearbox. The Audi has not detailed pricing or launch dates for the 2017 Audi Allroad.